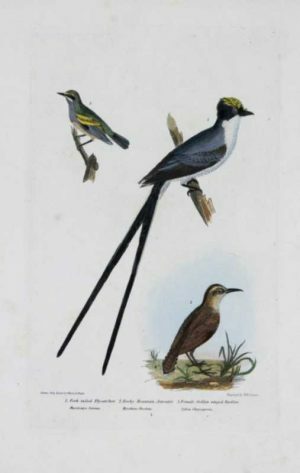 From the “Historie Naturelle des Oiseaux d’Afrique (Natural History of the Birds of Africa) by the famous French naturalist and author Francois Levaillant (1753-1824). 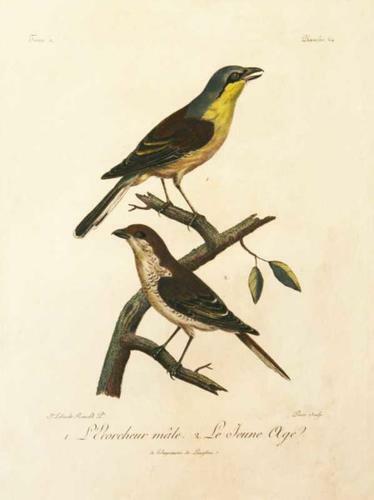 During his six month expedition in Africa in 1781 he discovered 50 new species and returned with enough material to publish a six volume work with over 300 illustrations. 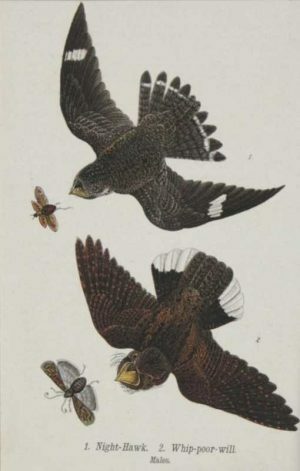 Printed by Langlois and engraved L. Reinhold, C.M. Fessard, and J.L. Peree. 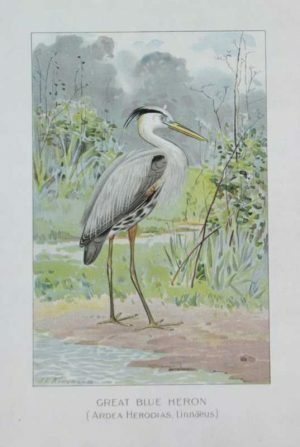 The medium is color printed aquatint, stipple and etching with some finished by hand. Dimensions include paper mat. There is some staining throughout the image and a small crease below the title with some scattered light foxing and general wear from handling and age.